Our 2014 Spring Fling is here! The fabric is flying, the machines are roaring and the quilts 'n things are getting made. Can you just feel the excitement? So, mark your calendars for April 10, 11 and 12th. 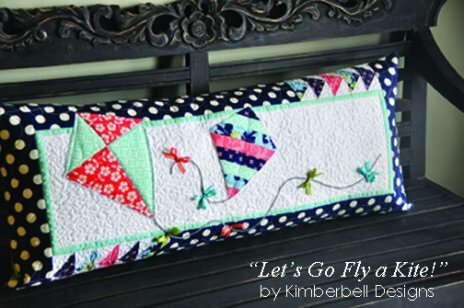 Make a quilt that's functional and fun- and sure to be loved for years to come! Kristin Roylance is from Elk Ridge, Utah and started her pattern company in 2008. 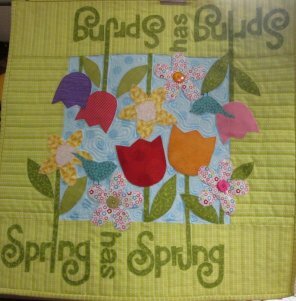 She is a mother of six quilt-toting children, Kristin enjoys sharing her designs and seeing the creativity they inspire. We will be having 20% off of all bolted fabric along with 1/2 off all remnants. To add a little extra for you, we will be having a sale on Fat Quarters. Be sure to ask about the demonstration on how to make a Ruched Flower! So dang cute and easy! Start by making one large "bench pillow" form. Then change out a new cover for that pillow form for each season or holiday! 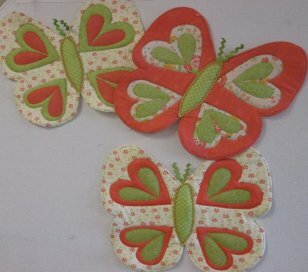 This is the idea behind a new line of patterns for interchangeable bench pillow projects. The "Welcome Spring!" 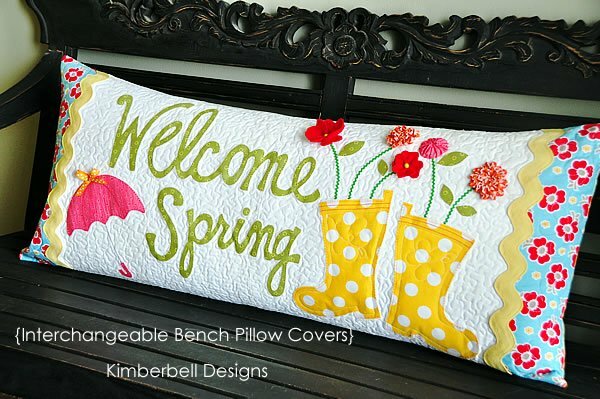 pillow cover is perfect for April! We have fresh new samples for Spring! We have a NEW notion, you are sure to love. It is the Strip Stick, helps you when pressing your seams open or to a side. 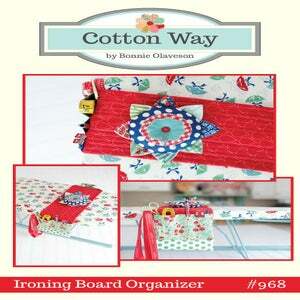 This fun organizer fits on the end of any standard size ironing board. there is a pocket for all of your sewing gadgets, scissors, measuring tape, pins, binding clips, pencil, seam ripper and there is even a pocket to put your little threads and tails you clip while you press.